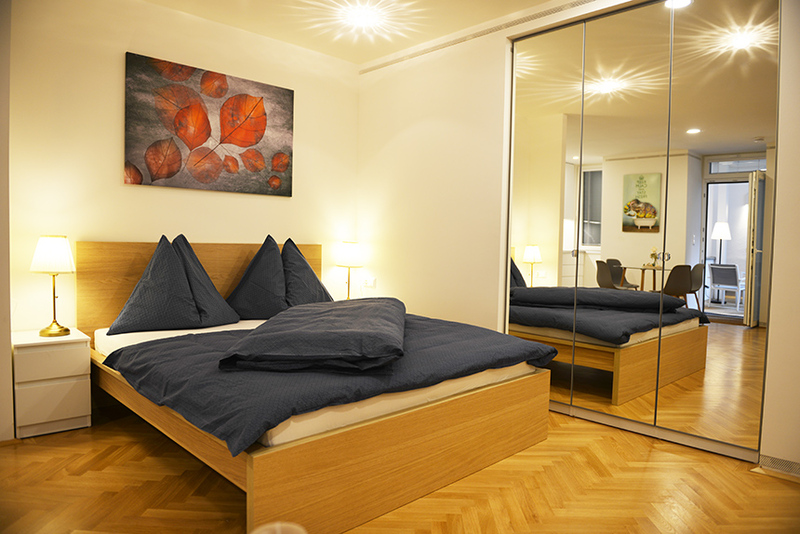 In the midst of the third district, directly across from the University of Music and Performing Arts and in close proximity to Vienna’s City Park, fully furnished and equipped apartments in various sizes, from 35 m2 to 70 m2 partially with additional garden terraces of between 18 m² and 26 m², will be available from March 2019 for temporary living in a newly revitalised, magnificent Gründerzeit house from the year 1904. 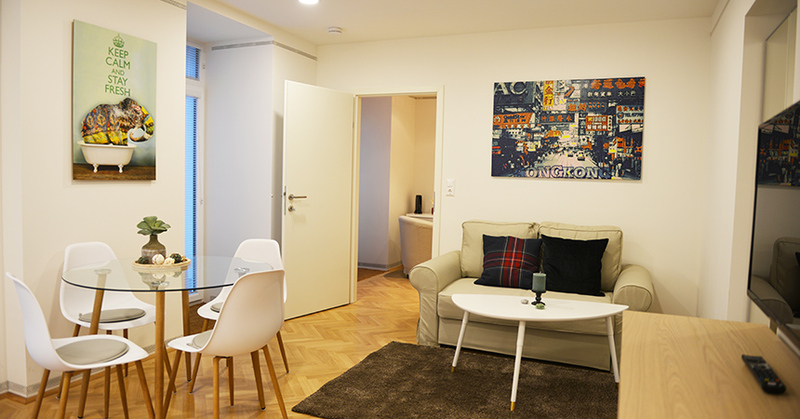 The house’s central location between Heumarkt, Schloss Belvedere and the University campus at the adjacent Anton-von-Webern-Platz couldn’t be more convenient. 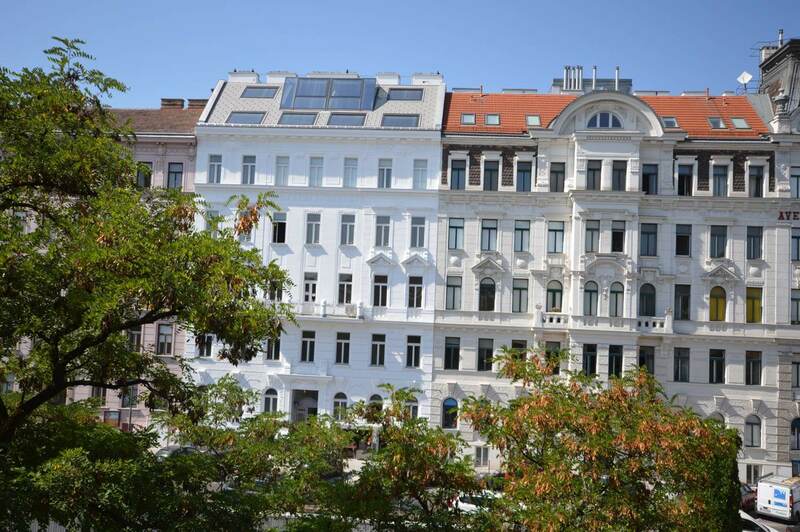 Also, only a few moments' walk away, you can easily reach the Vienna Stadtpark (city garden), the Botanical Garden, the city centre, Wien-Mitte station with the shopping centre "The Mall", the Rochusmarkt, and also the Landstraße Hauptstraße with its various shopping spots. Connections to all public transport networks (rapid transit S-Bahn, U-Bahn, bus and tram lines) make this top location even more desirable. Some of the apartments are located on the house’s garden floor. The private garden terraces create additional space to sit back and relax outdoors - the perfect spot for cosy gatherings. 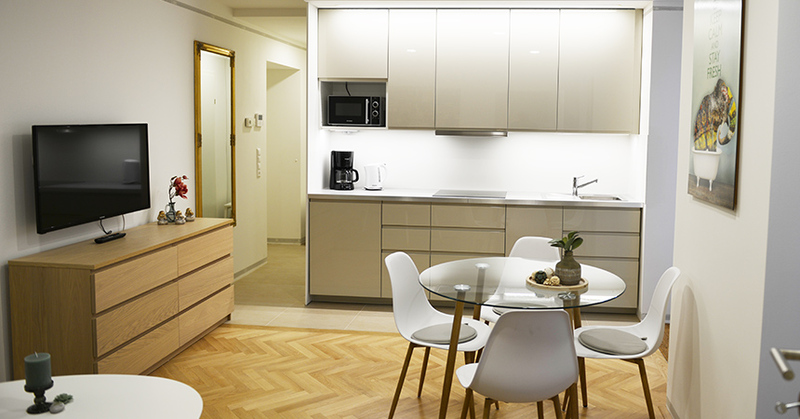 The modern living atmosphere, with the kitchen including everything you need, the pleasant, comfortable living rooms, plenty of storage space and the bathrooms with a shower and/or bathtub, ensure that you can get set up in no time at all and feel at home as soon as you arrive. 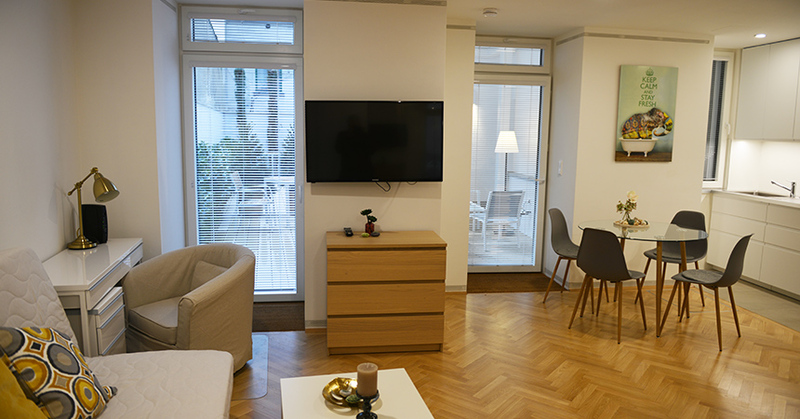 Naturally, WLAN Internet and SAT TV are also part of the apartments’ basic furnishings.